If you have lasting back pain and other related symptoms, you know how disruptive to your life it can be. You may be unable to think of little else except finding relief. Some people turn to spinal decompression therapy — either surgical or nonsurgical. Here’s what you need to know to help decide whether it might be right for you. 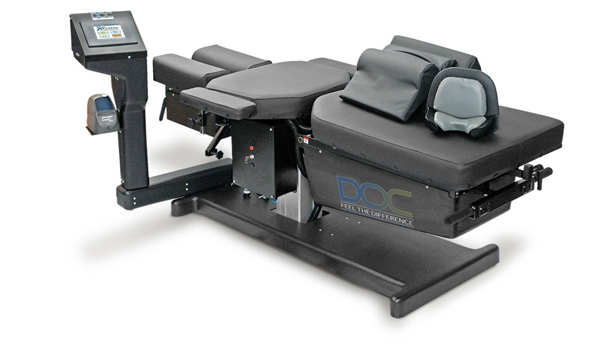 Nonsurgical spinal decompression is a type of motorized traction that may help relieve back pain. Spinal decompression works by gently stretching the spine. That changes the force and position of the spine. This change takes pressure off the spinal disks, which are gel-like cushions between the bones in your spine, by creating negative pressure in the disc. As a result, bulging or herniated disks may retract, taking pressure off nerves and other structures in your spine. This in turn, helps promote movement of water, oxygen, and nutrient-rich fluids into the disks so they can heal. More research is needed to establish the safety and effectiveness of nonsurgical spinal decompression. To know how effective it really is, researchers need to compare spinal decompression with other alternatives to surgery. Diskectomy:In this procedure, a portion of the disk is removed to relieve pressure on nerves. Laminotomy or laminectomy:A surgeon removes a small portion of bone — a section of bony arch or the entire bony arch — to increase the size of the spinal canal and relieve pressure. Foraminotomy or foraminectomy:A surgeon removes bone and other tissue to expand the openings for nerve roots. Osteophyte removal:During the surgery, bony growths are removed. Corpectomy: This procedure involves removing a vertebral body along with disks between the vertebrae.